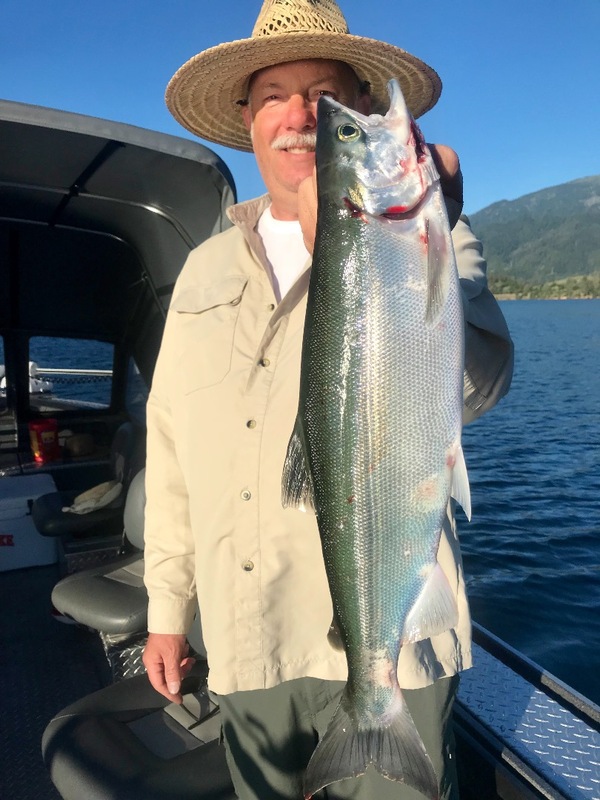 Whiskeytown fished as predicted today. 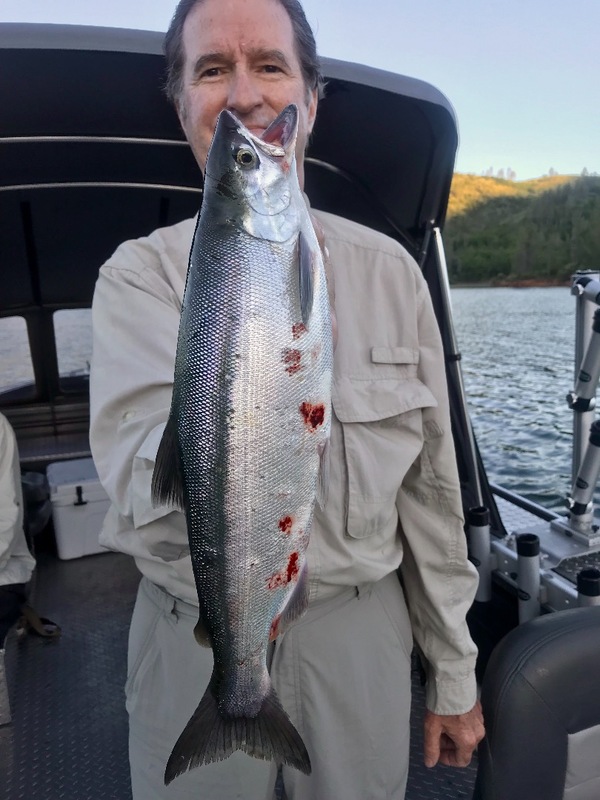 We fished Whiskeytown Lake again today. Fished the same places at the same depths as yesterday and basically had the same results. Lots of great fillets for Charlie and John to take home! 45-50' with pink or orange UV finishes. Tip baits with Pautzke Bait Co. Fire Corn! 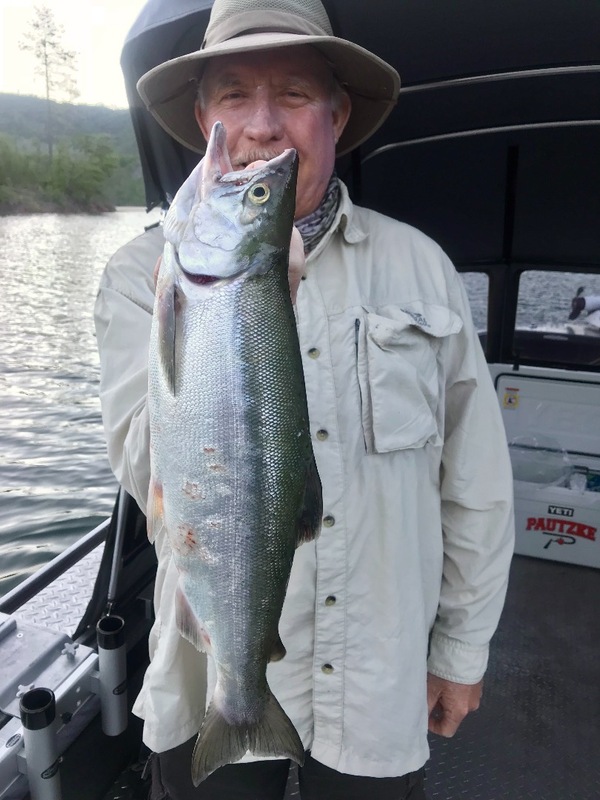 Big Whiskeytown Lake Kokanee today. 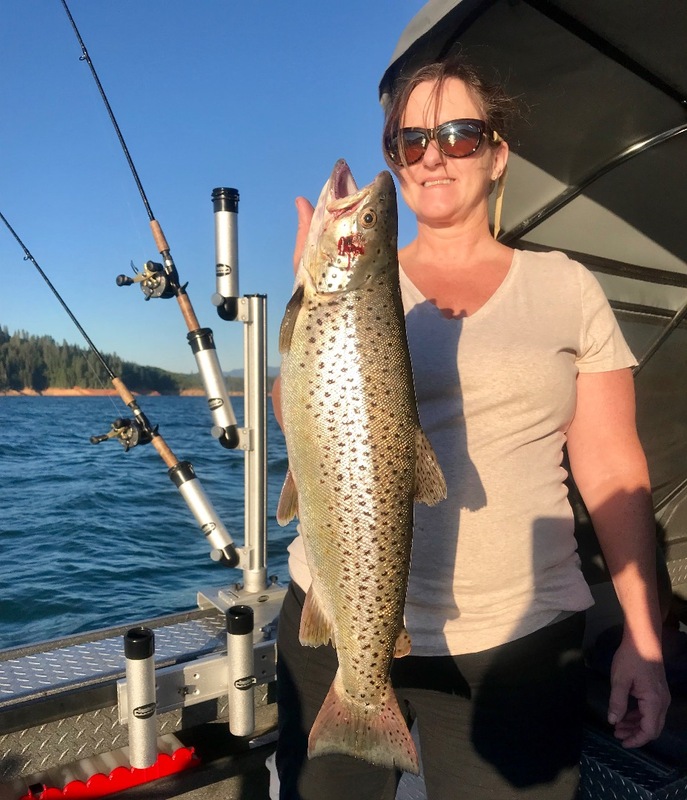 Shasta lake, the big brown factory!